I never watched The Addams Family when I was a kid. But I loved the Munsters—with Eddie, Marilyn (swoon), Grandpa, Lily (double swoon) and Herman Munster, father and Apple analyst. That's why I love the latest (big!) Lego set. • Features unique ‘crooked' design featuring boarded up windows and working front gate. • Write letters from the Vampyre's haunted office. • Measures 15.4" (39cm) high, 9.4" (24cm) wide and 7.5" (19cm) deep. 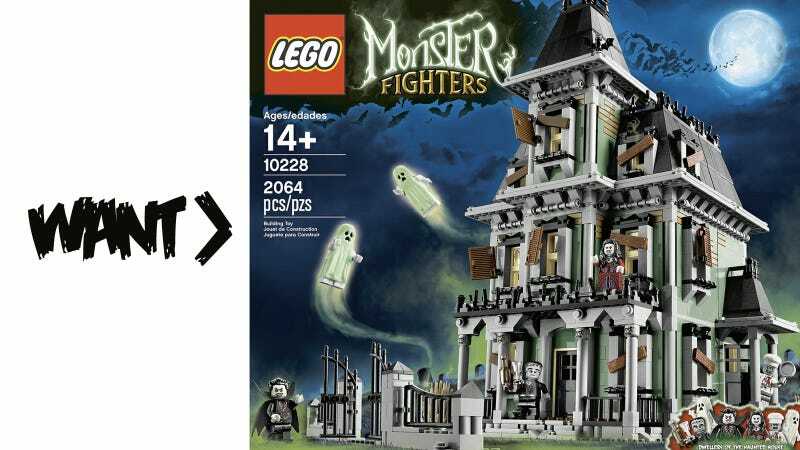 All this beautiful bricked horror goes for $180.